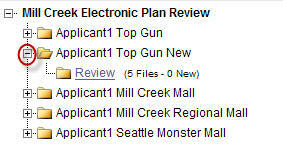 You have just received a plan notification email from Spacedox asking you to respond to their latest review. Sign into Spacedox Login Screen URL http://www.spacedox-live.com/main and click on the appropriate link in the email and go to the plan. 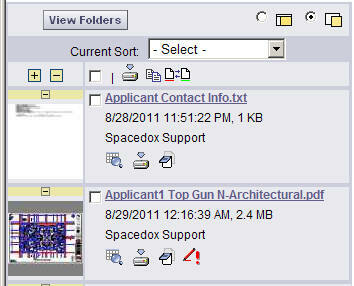 After you have successfully logged into Spacedox a link to your Projects(s) will be displayed. 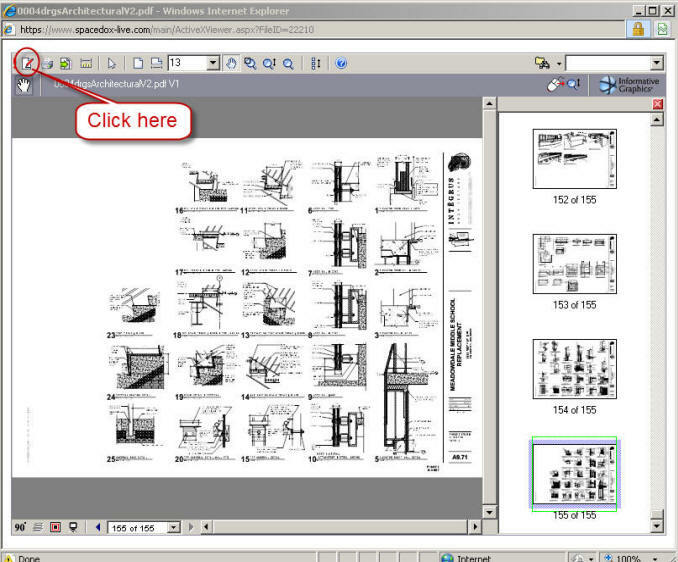 Click on the "+" next to the appropriate project name to see the "Review" folder. This folder holds all the agency reviewed files. 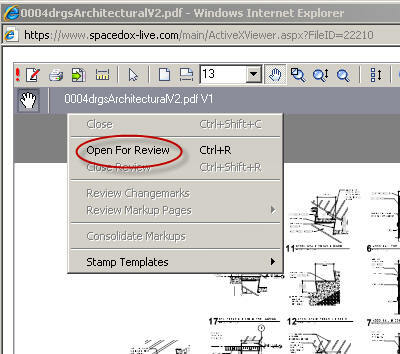 Next, open the Review folder. NOTE: The folder will be empty until a reviewed file is placed there by the agency. 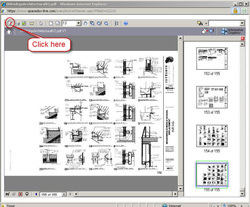 Click on the thumbnail or name of the file you want to see. Brava!™ is now launched. 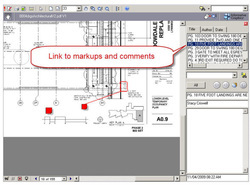 Click on the icon to open the comments and markups. 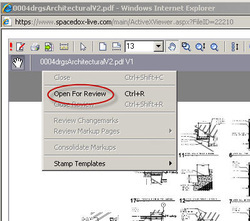 Click on "Open For Review"
"Markup Open for Review" popup provides a list of all the Markups and Comments in the file. 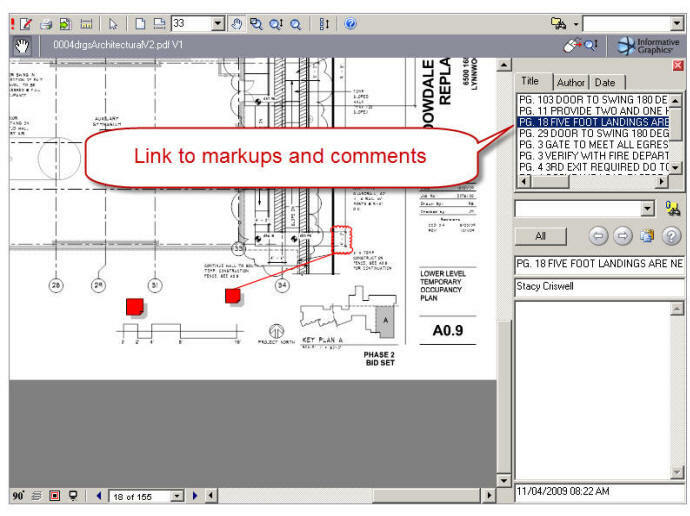 List on the right links to markups and comments. Search by Title, Author, Date and Keyword.